Our Jacksonville Foreclosure Defense Lawyers help individuals and families save their homes or walk away from their homes without further financial liability. The Law Office of David M. Goldman, PLLC has foreclosure defense lawyers located in Jacksonville, Duval County, Florida, but offer services to clients in the nearby counties of Clay, Nassau, St. Johns and Baker. 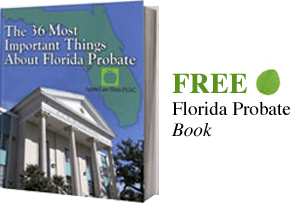 A Jacksonville or Florida Foreclosure Lawyer can provide you with guidance if a foreclosure lawsuit has been filed against your property, or whether you are simply behind on your mortgage payments and want to be pro-active. These events can create a hardship for most families and we understand that. We want to help you get back on your feet! Our Free Florida Foreclosure Defense consults with a foreclosure defense attorney include reviewing any foreclosure documents, bank disclosures and/or any other legal documents you have necessary to determine what your options are, how we can help you protect your real estate from being taken away and/or protect you from further financial liability. It is best to be pro-active and review your options before a foreclosure lawsuit has been filed against you, but it may not be too late to save your home or protect you from further financial liability if an action has already been filed. Timing is very important! Once you have been served with foreclosure papers for property located in Florida, you must act quickly to preserve your rights. Even if your home is scheduled to be sold in a few days, it may be possible to stop the sale and allow you to stay in possession of your home. Avoids Foreclosure. Once you have accepted a Permanent Loan Modification, your mortgage company will dismiss the Foreclosure Action with the Court. Lower interest rate. Usually your mortgage servicer will lower your interest rate in order to lower your monthly payments. Convert an adjustable rate mortgage (ARM) into a fixed interest rate. If you currently have an adjustable rate mortgage, you will no longer have to worry about and deal with your monthly payments changing. The only change in your monthly payment you will see after obtaining a Loan Modification will be due to changes in your taxes and insurance. More affordable monthly payments (typically). Extend the life of the loan. Loan Modifications generally extend your loan back out to 30 years. Some even extend your mortgage out to 40 years. By extending your mortgage, your mortgage company is able to lower your monthly payments as much as possible. Negative Equity: The loan balance is more than the home is worth (typically). You may be required to waive legal rights from the original mortgage. You might agree to a modification you cannot actually afford and lose your home anyway. Reinstatement/Bringing your mortgage current: This means paying back everything you owe to the bank in order to become "current" on your monthly payments. Unless you come into a large amount of cash relatively quickly, this option is likely not available to most people. Forbearance Plan: A Forbearance Plan is an agreement in which a mortgage servicer agrees to not foreclose on your home and you agree to bring your mortgage payments current within a set period of time within a set plan. This is a great solution for those who are experiencing a very short period of financial hardship. Mortgage Mediation through Bankruptcy: Filing a Chapter 13 Bankruptcy may allow you to participate in mediation to help you obtain a loan modification. To find out more, visit our Jacksonville Bankruptcy Lawyer pages. Short Sale: A Short Sale is when you sell your home for the highest value possible notwithstanding that the proceeds from the sale will be less than your outstanding mortgage balance. The biggest short fall of a Short Sale is that you remain liable for the deficiency, which is the difference between the proceeds from the sale and your mortgage balance. However, in many Short Sale negotiations, this deficiency can be negotiated away. Thus, leaving you without any further liability for the home or mortgage. Begin the Short Sale process by hiring a realtor to list the property for sale as a Short Sale. Make sure the realtor you choose is familiar with the Short Sale process. The realtor lists the property for sale as a Short Sale. The realtor works with you and other realtors to show the property to interested buyers until a fair market offer is received. The Offer is submitted to the bank for review along with many other financial documents the bank may request. The Offer is then approved, countered, or denied. If needed, a waiver of deficiency is negotiated or a counteroffer is submitted. After approval, the closing takes place anywhere from 30 to 45 days after receipt of the approval. Deed-In-Lieu of Foreclosure: A Deed-in-Lieu generally only becomes an option after you have been unsuccessful with obtaining a Short Sale of your home. A Deed-in-Lieu is a transaction in which you voluntarily give your home back to your mortgage holder in exchange for a release of the full financial obligation of the mortgage. Bankruptcy: Visit our Jacksonville Bankruptcy Lawyer pages for more information. Consent to Judgment: A Consent to Judgment is when you consent to a Foreclosure Judgment being entered against you, you voluntarily vacate your home, and, in exchange, the bank waives its right to obtain a deficiency judgment against you. Missed Payments: Once you miss your first mortgage payment, it generally takes approximately three months for your lender to begin the foreclosure process; however, it could take less time or much more time. Notice of Default: A Notice of Default must be sent to you at least 30 days before a foreclosure suit can be filed. The Notice of Default must state the reason for default, how the default can be cured, and that failure to cure the default may lead to foreclosure. Foreclosure Case Filed: Your lender's law firm prepares the necessary documents to foreclose on your property and a Foreclosure Action is filed with the Court. You are then served with a Foreclosure Summons and Complaint. You must file an Answer with the Court: Once you have been served with a Foreclosure Summons and Complaint, you must file a written response with the Court within 20 days of being served. It is extremely important to file a response within 20 days in order to protect your rights to the property. This is when many Borrowers will hire an experienced Jacksonville Foreclosure Defense Attorney. If a Borrower fails to respond within the specified 20 days, it is assumed the Borrower admits all allegations in the Foreclosure Complaint and a default will be entered against you. Once a Default has been entered no longer have the right to defend the Foreclosure. Seek Solutions: By choosing to respond to the Foreclosure Complaint and defend the Foreclosure, you have preserved your rights to the property. Preserving your rights allows you to seek another solution to Foreclosure that may be best for your specific situation. There is no one size fits all solution to Foreclosure, but a Short Sale, Deed-In-Lieu of Foreclosure, Modification, or Bankruptcy may allow you to avoid foreclosure. You should understand your options and the consequences each option may have on your home ownership, the length of time you are able to continue living in your home, the amount of money you may have to pay, and any other personal issue you may have. Understanding these options will help you to understand which solution is best for you and your family. Follow-Up No matter which route you choose, ALWAYS continue to follow-up! Foreclosure Sale Date: Foreclosure Sale dates are generally set for 30 days after a Foreclosure Judgment has been entered. However, in certain situations the Court may grant you an extended Sale Date of 60, 90 or 120 days. This is generally done when you can show the Court that you have been and are working on another solution to Foreclosure such as a Modification or Short Sale. Redemption Period: A Redemption Period is available after the Sale Date, until the clerk of court files a certificate of sale. Eviction: You can be evicted from your home if you remain living in it after the Sale Date and after the clerk has issued a certificate of sale. Below is a list of Foreclosure Terms you should be familiar with when facing foreclosure. This list is not all-encompassing. You should discuss any terms that you do not recognize with a Jacksonville Foreclosure Defense Attorney who can also review your foreclosure lawsuit and discuss your options in detail. A Foreclosure is a remedy in equity that allows the lender to seek a judicial order allowing for the sale of your property when the terms of the note are not complied with. A Note is the financial instrument that creates an obligation for you to pay over time for the money you borrowed. A Mortgage is a document that gives the lender the right to initiate foreclosure and sell your property if the Note is not paid. It is a security instrument. A Plaintiff is the party filing the Florida Foreclosure Lawsuit, typically this party is the lender, and is often referred to as the Mortgagee. A Defendant is the party defending the Florida Foreclosure Lawsuit, typically this party is the borrower, and is often referred to as the Mortgagor. An Assignment is the transfer of the Mortgage to another party, most often done by sale of the mortgage. An Assignor is what the lender is called in an assignment of a Mortgage. An Assignee is what the company that buys the mortgage is called in an assignment of a mortgage. A Deficiency is the difference between the amount owed on the mortgage and what the bank collects from the sale of the property. A Deficiency Judgment is a judgment approved by a Judge during a legal proceeding (usually after the foreclosure action has ended) for the deficiency amount incurred from the sale of the property. A Final Judgment is the written determination of a mortgage foreclosure by the Judge presiding over the foreclosure case. Also known as the final decision. A sale date is set at this time. You can also check out the Florida Foreclosure Defense Lawyers Blog for more news and information on Foreclosure Defense in Jacksonville, Florida, and around the country. For a free review of your Florida Foreclosure by a Florida Foreclosure Lawyer contact us today.